This is particularly interesting because I know something about the background behind it. 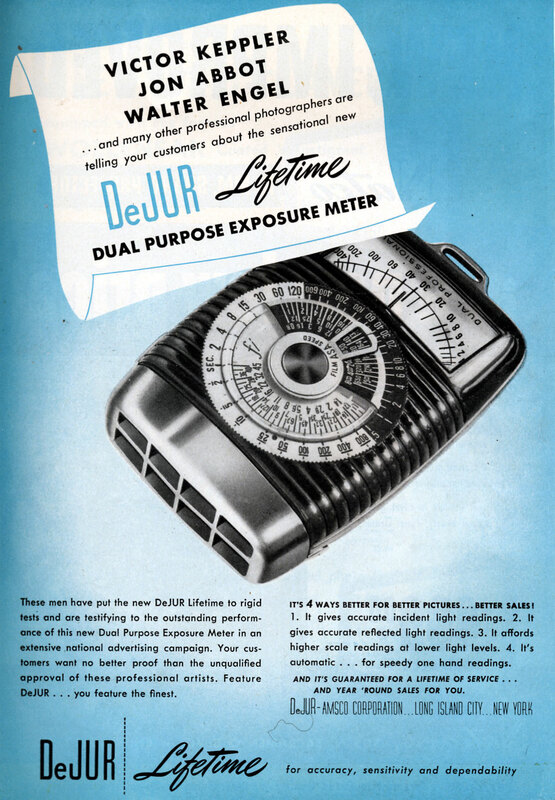 Marlin Fogle was hired by DeJur in 1945 to be chief engineer, and during that time he developed a meter and filed for a patent. He left the job in September 1946, and in October, the VP in charge of engineering, Jack Kuscher, filed a patent for the same thing, and lawsuits ensued. DeJur eventually abandoned its claim and Fogle was acknowledged as the inventor, but said DeJur still owned the rights because Fogle was working for them at the time. Federal court ended up siding with Fogle because his employment contract didn't say anything about having his patents automatically become DeJur property. DeJur said it was implied; the court disagreed. DeJur appealed and lost. You can read a summary of it on the web, or look up 233 F.2d 141 on your own. The part I liked best was the royalty payment. Originally DeJur was going to give Fogel 7¢ for every meter sold for the first five years of sales. When they lost this appeal, they had to give Fogel 7¢ for every meter sold for the life of the patent—17 years. That was longer than the meter was in production, but a lot better than five years. 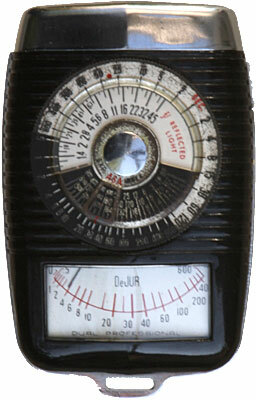 The "dual" in this meter's name comes from being both incident and reflected. A lot of meters at the time had incident attachments (GE's PR-1 is a good example), but accessories are easily lost. This one had the incident mask built-in so you could just flip a button to switch between them.